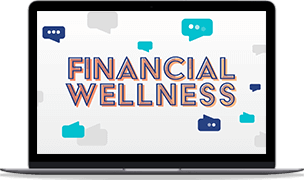 Real financial wellness is about behavior change. SmartDollar makes change happen. Money problems follow your employees to work. 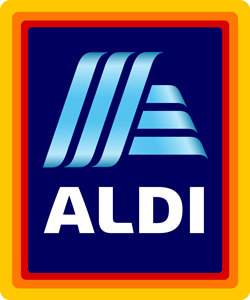 Your employees are real people with real hopes and dreams – and real money problems! They work too hard to earn their living to have so little to show for it. Here’s the reality: They bring all their stress and anxiety about their finances with them to work every day. We believe it doesn’t have to be that way! You can help! 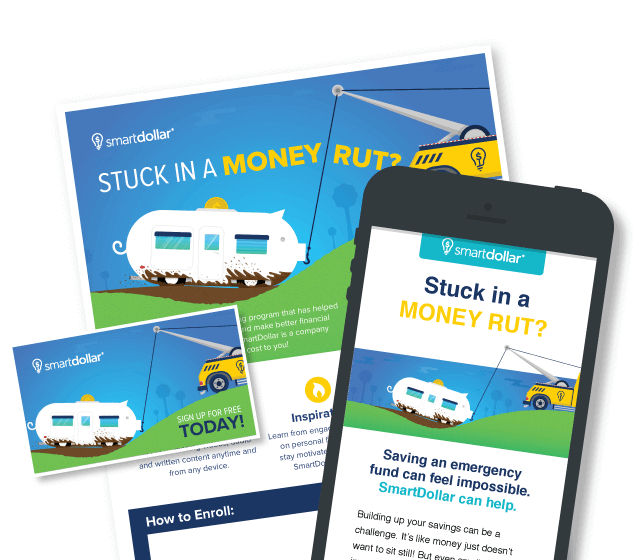 SmartDollar will give your employees a step-by-step plan to eliminate debt, save for emergencies, and retire with confidence. Happier, healthier employees lead to happier, healthier workplaces. 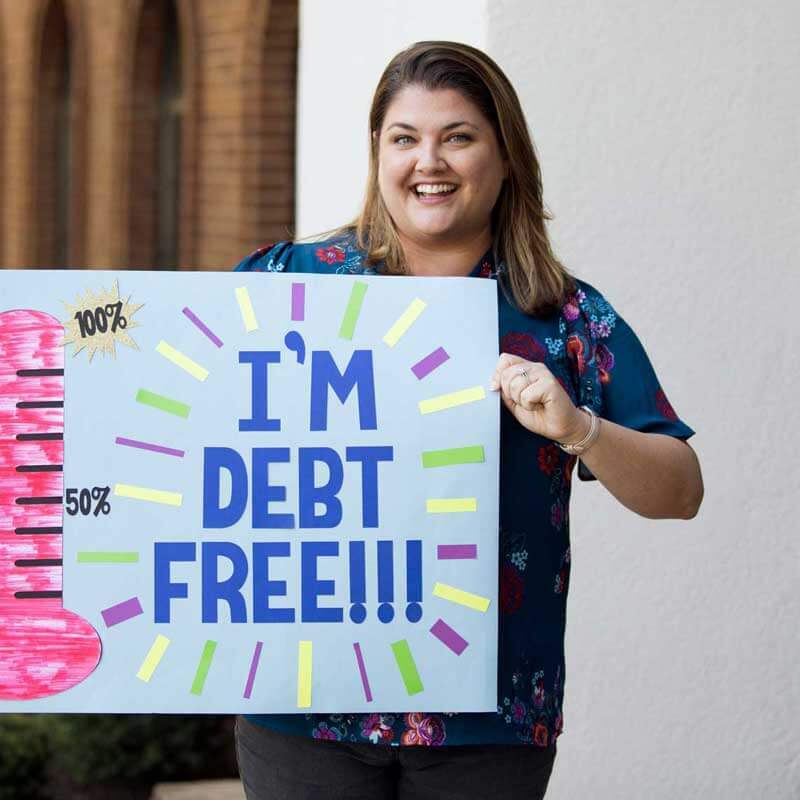 Real financial wellness is about behavior change. SmartDollar is the only financial wellness program that leads to lasting behavior change. We don’t just treat the symptoms; SmartDollar gets to the root of why people aren’t financially healthy and on track for retirement. Over the past 25 years, we’ve helped millions of people change the way they handle money. With SmartDollar, you can do the same for your employees! Personal finance is 80% behavior and only 20% head knowledge. Most people know what to do with money; it’s the doing that’s tough. 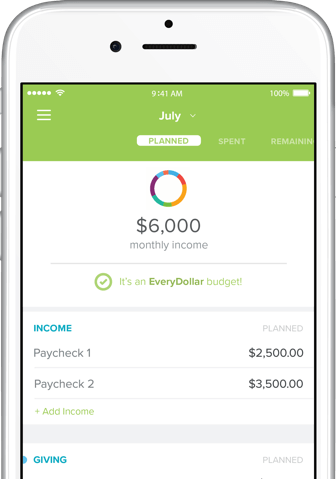 Our plan, the seven Baby Steps, helps employees make smart choices with their money, focusing on one goal at a time. With each step, your employees build confidence to move through the plan and toward true behavior change. The seven Baby Steps have already worked for millions of Americans because they were designed to create small wins early, build momentum and lead to long-term commitment to the program. This is no typical slideshow presentation. Your employees will actually engage with our content. 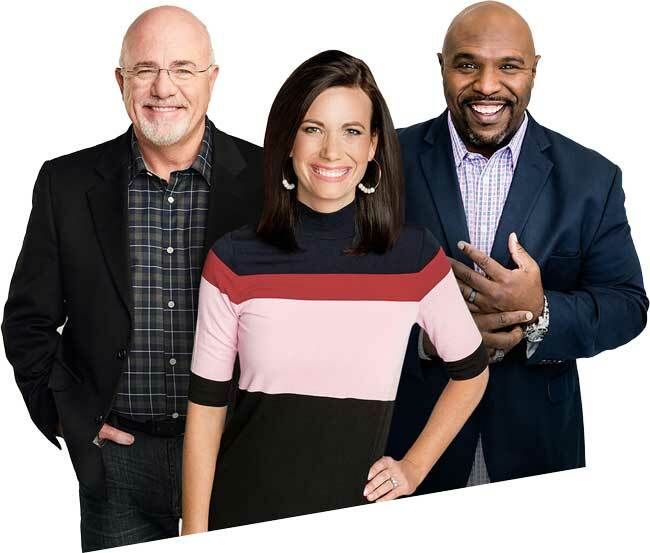 Our best-selling authors and financial experts Dave Ramsey, Chris Hogan, and Rachel Cruze bring personal finance to life with entertaining and motivating video lessons. SmartDollar is a self-paced program that allows your employees to consume our video content on their schedule, 24/7 on any device with absolutely no solicitations. 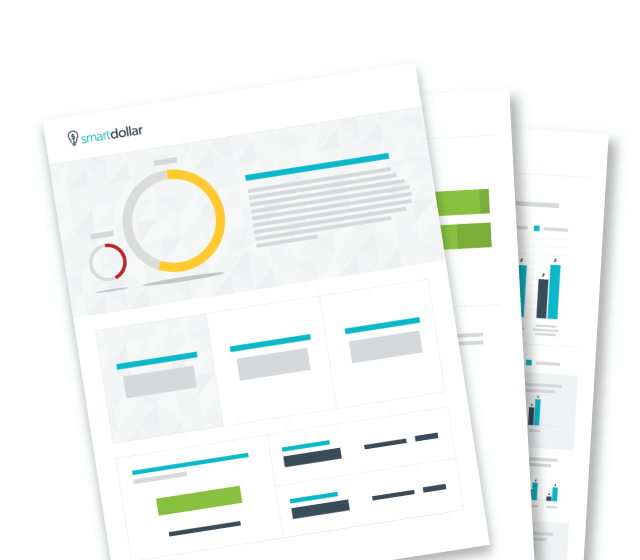 To make the SmartDollar experience complete, we have created best-in-class tools to help employees implement what they’ve learned. The SmartDollar tools are easily accessible, mobile-friendly, and fully integrated into the SmartDollar experience. 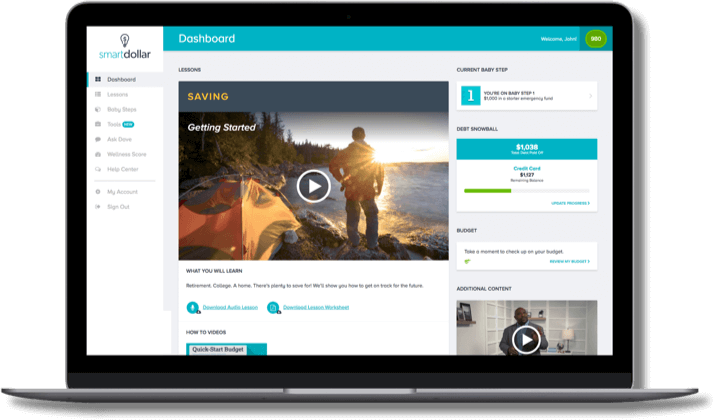 Our innovative tools help your employees track their expenses, pay down their debt and save for emergencies. When you provide SmartDollar for your employees, it will impact their life, their families, their future – and their work. After only one year in the program, the average SmartDollar user typically sees a financial turnaround of over $15,000! SmartDollar has changed my life. I now have real hope that retirement and college for my child are attainable goals. With SmartDollar, I feel more educated about my financial decisions, and now there is hope for the future. This program completely changed my life. Not only is my financial situation healthy, but now I am making more healthy lifestyle choices. SmartDollar is very easy to use, has a simple interface, and explains money concepts in a way even a novice can understand. I am so excited about this program. Thank you for having this online and accessible for me. I do believe and feel that this is life changing! Our extensive promotional materials, marketing tools, and customized communication plans will help you reach your employees with ease, no matter your industry or company size. 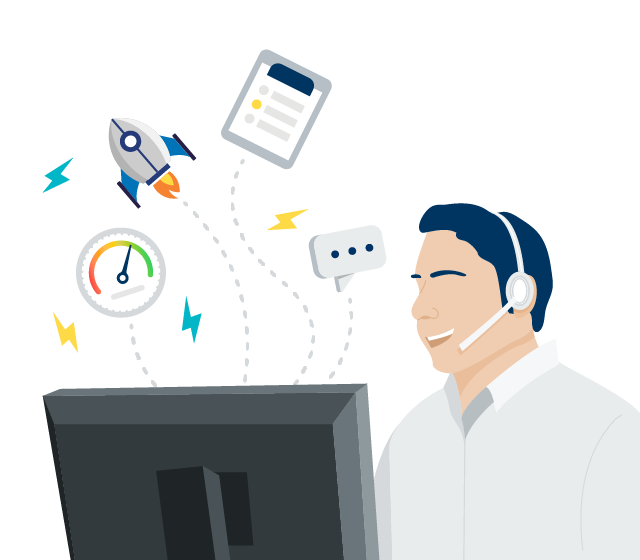 Measuring success is easy with aggregate behavior-change reporting and individual engagement points that can be used for incentive programs or integrated with existing wellness programs. Your dedicated relationship manager will work with you every step of the way to ensure you and your team get the most out of SmartDollar. We will help you launch and promote the program, and we’ll help you monitor progress to be sure it is a success. 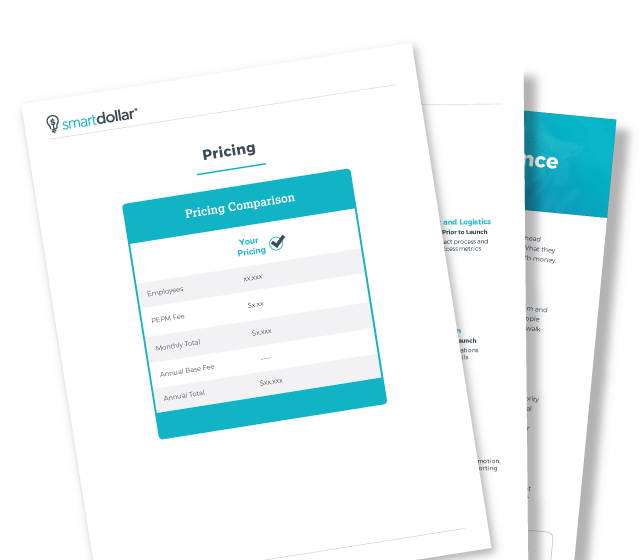 We serve thousands of companies of all sizes and would love to talk to you about pricing options. Also, SmartDollar is a qualified retirement plan expense. Many customers pay the cost of the program out of ERISA budgets, forfeitures, or wellness credits. You invest too much time and effort in your employee benefits to waste money on programs that don’t work. Choose a proven plan. Choose SmartDollar. Let’s get to know one another. Chat with us for about 15 minutes, and we’ll create a custom test-drive of SmartDollar for you. Just let us know what we can do to help you today.